Display your favorite pages, photos, and more in this easy to swap out Hinged Display Frame. 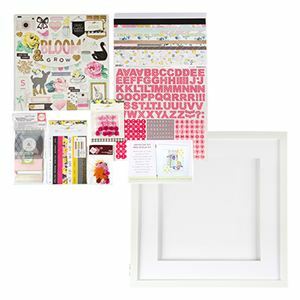 Plus, the kit includes supplies to create a variety of pages for use in the Hinged Display Frame or include in your traditional albums. Instructions are available online in a PDF that you can download. Please note there is a $14 handling fee plus regular shipping fees on this item. Please note there is a $14 handling fee plus regular shipping fees on this item.